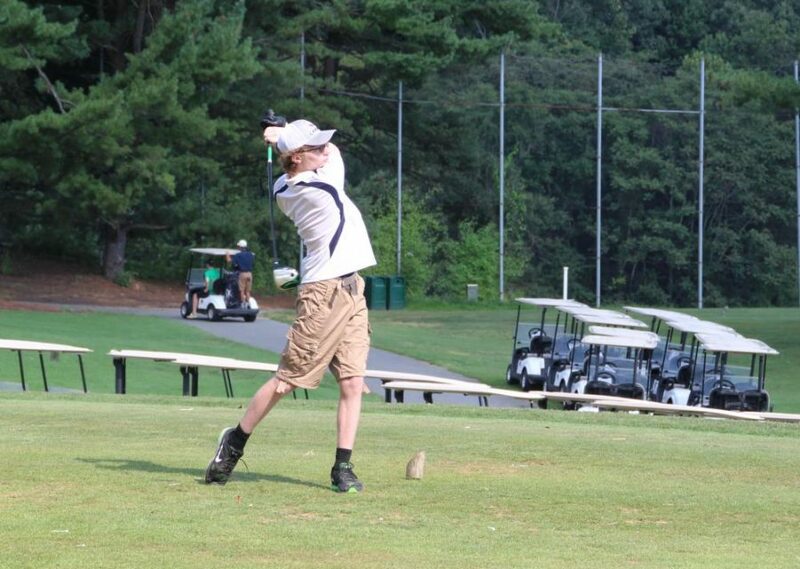 Freshman Josh Miller swings during the September 6 golf match. Watkins Mill girls varsity volleyball took down the Paint Branch Panthers at their first home game, 3-1. Watkins Mill took the first two sets 22-11, 25-22, respectively. Paint Branch came back to take the third set from the ‘Rines 25-18 but the girls closed out the game in the forth set 25-21. “They pushed hard even though it was hard to watch the third set, they came back in the end,” coach Kauri Martin said. Go support the girls at home this Thursday, September 13 vs. Gaithersburg at 6:30 pm. A revamped golf team have high hopes going into the new season. The team’s latest match was on September 6 at Needwood Golf Course. They finished second among four schools. Coach Rick Riley now has a roster of six golfers who are 3-3 in the season.